The "promise" theme was weak, because the PA breaks promises all the time. And, while it was obviously Obama who had been promised, he is not exactly a truth-teller himself. The best that can be said for this is that the world must see that Israeli officials stand by their word -- that Israel can be trusted. But how was it in our "best interest"? In her column last Friday, Caroline Glick suggested that Netanyahu was being blackmailed by Obama. She proposed some possibilities, including that maybe Obama threatened that if we didn't cooperate in negotiations with the PA, he would let Iran know when we were about to attack. Could be. But she provided no source -- not even an unnamed source -- and said just that: "maybe." Her working assumption here, of course, is that there has to be something pretty bad for Netanyahu to play along. Another analyst I spoke with, who has connections inside the government, saw it otherwise. One incident that gave me pause and made me feel that Glick's "maybe" might have plausibility was something else that Obama did. 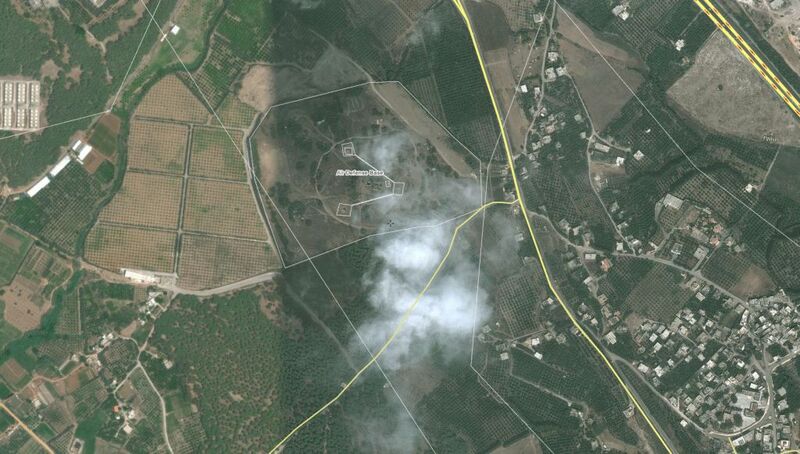 Late last Wednesday night, a Syrian military base adjacent to the port city of Latakia was hit. The missiles that were the target of the attack - Russian-made SA-125 missiles that were to be transferred to Hezbollah - were reportedly all destroyed. There was some confusion in various press reports (none of them originating from Israel) about whether the site was hit via missiles launched from a ship a distance away, or whether warplanes were involved. It is exceedingly unlikely that planes entered Syrian airspace and the attack may well have been launched from the Mediterranean. Some reports alluded to a second attack in Damascus. What was clear in reports, however is that "Obama administration officials" were saying that it was Israel that had attacked. I encountered one report, cited below, that said the leak came directly from the White House. Now, everyone knows that Israel has warned that the transfer of serious weaponry from Syria to Hezbollah in Lebanon will not be tolerated. When such weaponry is demolished, everyone knows that Israel is responsible. BUT Israel takes pains not to make this explicit, thus maintaining what is referred to as "plausible deniability." And there's a solid reason why this stance is taken. Assad, who to date has ignored such attacks, is thus given the latitude of being able to behave as if he has no certain information about who is responsible. But now, and not for the first time, Washington, as Aaron Lerner of IMRA put it, "has seen fit to rub Israel's responsibility for attacks in President Assad's face." This is a provocation -- a fomenting of Syrian violence against Israel. Not the behavior of an ally: Israeli government officials were fuming, and referred to the American action as "scandalous." The precise motivation of the American administration in doing this can be analyzed and analyzed. But the bottom line is that Israel does not have a friend -- or a trustworthy ally -- in the White House. Precisely how far he would go in acting against Israel in what particular circumstances is anyone's guess. On Sunday, a ceremony was held to mark the departure of Maj. Gen. 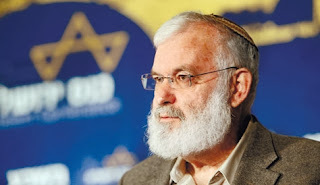 Ya'akov Amidror from his post as national security advisor. "...if the talks fail, it will give everyone interested in boycotting us every reason to do so." I've always found Amidror to be a fairly straight shooter. And I don't know that he was telling the prime minister to make sure the talks didn't fail, so much as he was assessing an ugly reality. But it gives us pause, with regard to Netanyahu's motivation for his recent behavior. He may simply be standing on his head to prove that Israel is doing everything possible to cooperate, so that when the talks do fail the onus will be less solidly on us in the eyes of the international community. Whatever else might be going on, it certainly seems this is likely a factor in determining his decisions. But he's dreaming if he imagines he can make Israel's case with the international community, and most notably with the Europeans. Now let's turn to the negotiations, which by all reports are going nowhere quickly. Tonight (oh joy!) Kerry is due here. I believe he is going to meet first with Abbas tomorrow in Bethlehem and then with Netanyahu, in an attempt to get things going. What we are seeing, in the lead-up to the Kerry visit, are a series of somewhat hysterical charges leveled against Israel by the PA. Primary among them are attacks regarding our building plans, which are being called the destruction of the process. Our government has said repeatedly that both the Americans and the PA knew, at the start of the negotiations, that, as prisoners were released in stages, so would there be announcements about building. PA leaders were not surprised at all by our announcement. They went along with the original understanding because they were glad to secure the release of some of their murderers, yet knowing that they'd attack Israel for building in any event. After all, they could not appear to stand silent while Israel declared intentions to build, could they? "If they can't even stand behind the agreements that we had...then how can I see that they will actually stand by the larger issues that will require them far greater confrontation with received opinion and fixed positions in their society?" But if this is the case, why try? Why fight the losing battle of trying to show the world how much effort we expend and how fair we are? "On Sunday, PLO officials leaked to the media a position paper that Palestinian chief negotiator Saeb Erekat presented to Justice Minister Tzipi Livni outlining the PLO’s position on a final peace settlement. In a nutshell, the paper requires Israel to destroy itself demographically, democratically, militarily, legally and politically and that it relinquish its water supply. Six months after it does all these things, the Palestinians will agree to sign a peace treaty with it. "The Palestinian document claims not only all of Judea and Samaria, (except for 1.9 percent of the territory that Israel can keep in exchange for money and more land within sovereign Israel), and eastern, northern and southern Jerusalem. It demands the northern Negev, the Hula Valley, Latrun and the Elah Valley. And it demands them all free of all Jewish presence. "They demand full control over the airspace over Judea, Samaria, Gaza and Jerusalem, and over the waters off the Gaza coast. They demand an end of air force overflights of those areas. "They demand control over all the underground aquifers, and over the electromagnetic spectrum. "Moreover, the Palestinians are demanding that Israel allow 5 million foreign-born Arabs the right to freely immigrate to its remaining territory." Netanyahu is acquainted with all of these demands and yet continues the pretense of negotiating. Of course the talks will fail spectacularly at the end. Or before, if the PA acts on its threat to pull out of talks because Israel is being so difficult. (They won't, because they want more prisoners released.) The talks will fail not only because it's obvious that we will not sign on to these demands, but because the PA doesn't really want a state next to Israel, not even next to a severely truncated Israel. And because they won't recognize Israel as the nation-state of the Jewish people. What a colossal farce this is. There were rumors just days ago -- fueled by a report released by Meretz head Zehava Gal-on, after having met with American officials -- that, early next year, the Americans were going to present their own proposals for resolving the situation. But Kerry is now saying this is not the case. Although I notice he hedges it slightly: "there are no other plans at this time." At this time? And in two months? It would be a very, very foolish move that ultimately would lead to nothing constructive and might do considerable damage. We must hope that Netanyahu refrains from additional self-destructive "gestures," and implore him to hold fast for Israel's rights. The following story gives us a good picture of what we contend with, in terms of Arab hostility and intransigence. There is no give, no good will. And in this instance I am referring to Israel Arabs, who also happen to be members of the Knesset. Yesterday afternoon, the Knesset Internal Affairs Committee held a discussion on the issue of Jewish prayer on the Temple Mount. The current situation is insulting, outrageous and unjust. Jews are prevented by Jewish police from praying on the Mount -- even though at an earlier time the High Court had said this was allowed -- because it presents a "security risk." What does that mean? It means that Arabs will see Jews pray, and will riot. The police don't want to deal with a riot, so it's better that Jews not be permitted to pray. "Enraged by the prospect of a policy change, Arab MK Jamal Zahalke (Balad) interjected (emphasis added), 'There is no such thing as the Temple Mount, there is only the al-Aqsa Mosque,' setting off a shouting match between members of the Jewish and Arab parties. "'What is that, a threat?' responded Regev, an accusation that Zahalke hastily denied. 'Here come the threats,' Regev said. "'The Second Intifada broke out because of al-Aqsa, and because of you [the third] will break out because of al-Aqsa,' Tibi [Ahmad Tibi of Ta’al], said, standing up and walking out, referring to a visit to the Temple Mount by then opposition leader Ariel Sharon in September 2000. "'I’m proud to have been his friend,' Tibi snapped. 'Arafat’s shoe is worth 10 of you.'" I have a whole lot of trouble with people such as Tibi serving in the Israeli Knesset, but that's a story for another day. What I hasten to point out here is that the second intifada did not start because Sharon went up to the Temple Mount. That was a Palestinian Arab ruse, something to hang it on. Arafat was already planning it. And Tibi? At one point he was an Arafat advisor. A young Syrian woman, beginning to go into labor with her firstborn, realized there was no one in her village to help her and asked to be transferred to the border with Israel. "I was very afraid to go, but I was even more frightened of giving birth at home alone by myself." IDF soldiers transferred to Ziv Medical Center in S'fat. "I don’t feel like I am in an enemy country," she said. "The staff are all helping me and worrying about me." "My baby, too, is getting wonderful, devoted care." "We gave her a hug, a shower and food. "We gave her postnatal advice. She’s a very young woman who came without her husband or anyone else accompanying her, and it was her first delivery. "Our job is to ensure that every new mother remembers her delivery as an unforgettable, positive experience, whatever her ethnic, national or religious background." The young mother delivered a 3.2 kilo (7 pound) healthy baby boy. Her identity is being protected so that she has no trouble on returning to Syria. Where, my friends, where but in Israel??? Israel, the country the world loves to malign. Technorati Tag: Israel and Syria and Abbas and Palestinians.